That is up from 34% a year previously. The figures form part of a review of how bad loans have been handled in the Irish banking system. 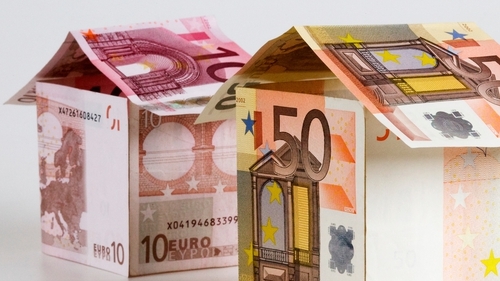 The Central Bank thinks just over half of the mortgages in arrears of two years or more may end up with the borrower losing their homes. There has been a reduction in non-performing loans from a peak of 32% of all loans to just under 14% over the past five years. Having bad loans on their books reduces the amount of money banks can lend and pushes up the cost of borrowing to consumers and businesses. That is why the Central Bank and the European Central Bank want to see the level of so-called non-performing loans reduced from just under 14% towards the Euro area average of around 5%. The banks have been reducing their bad loans, either by restructuring them or by selling off portfolios of loans to so-called vulture funds. However, the process is slowing down, partly because what is left are the hardest loans to deal with, mortgages in long-term arrears. Deputy Governor Sharon Donnery said: "Durable restructures have been the prominent method for NPL mortgage resolution in Ireland. "However, whilst the amount of late-stage arrears cases is decreasing, a significant number of cases remain, and appear to be getting worse. "The financial crisis brought great hardship to many people, but the engagement of borrowers is essential for this issue to be effectively tackled. "Experience has taught us that there is no single measure that will resolve NPLs. NPLs remain one of the primary sources of vulnerability in our economy today and resolving them is in all our interests. "They inhibit a bank's ability to fulfil its primary function of lending to the economy. Ultimately, they push up costs for the banks and result in higher rates of borrowing for prospective home-buyers or businesses seeking to expand." Of particular concern are the 39% of borrowers with long-term arrears who are not talking to their banks to try to sort out a solution. That is about 10,000 customers of the five main mortgage banks in Ireland. The Central Bank concludes that, unless they are pushed by the regulator, individual banks will not resolve their non-performing loan problems. Central Bank Deputy Governor Sharon Donnery said customers who are concerned about their mortgages need to engage with their banks and avail of State supports. Speaking on RTÉ's Morning Ireland, she said that the Central Bank and State has put protections in place and there were many restructuring options available. Ms Donnery said 120,000 have been successfully restructured, adding that repossession should be a last resort. She said there is a large cohort of customers, in the more difficult cases, that have not fully engaged with their lenders.